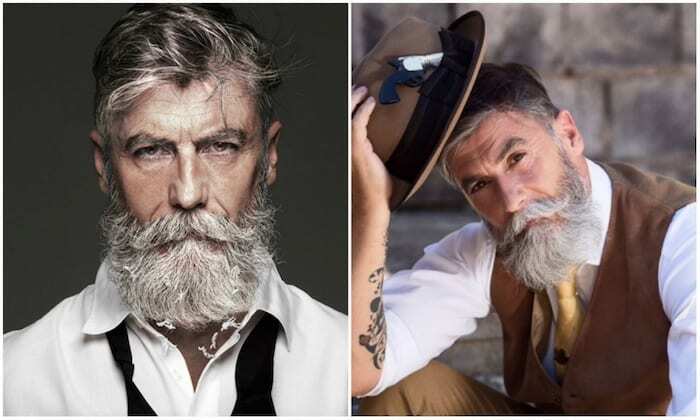 If you’re 50+, rapidly approaching 50 or want to ensure that you’ll still look good when you’re older, then this is the article for you. Some say that age is just a number. All of the men in the below images are among those people. The people below are all above 50. They have been able to maintain their bodies and looks after they hit the big five-oh. 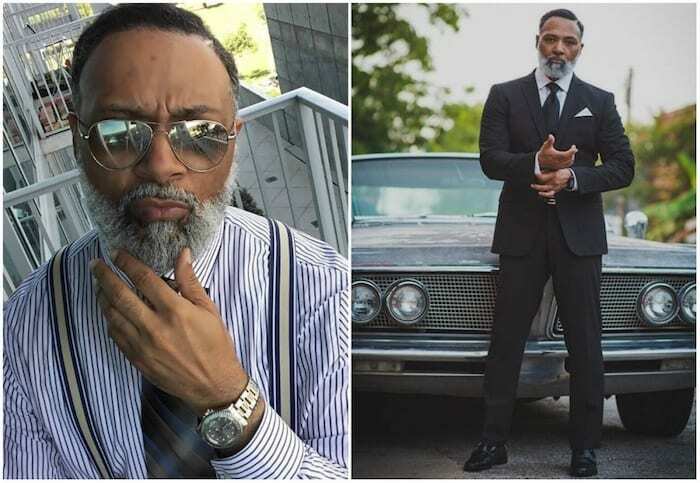 For the men below, 50 really is the new 30. Their best years are truly ahead of them. And each one describes just how they’ve managed to achieve this massive accomplishment. Chuando Tan may not be known to most Americans, but in Asia, it’s a different story. In fact, he’s one of Singapore’s most popular models. His secrets for getting this good-looking are amazingly simple: Always get to bed early, never bathe late at night or early in the morning and eat a chicken breast every day. The grey hair kind of gives away Phillipe Dumas’s true age. He still looks amazing for his 62 years, however. And like his hair, his name gives away some facts. Philippe Dumas is, unsurprisingly, a French model based in Paris. Even Phillipe’s answer to his youthful physique is insanely French. “I started ballet dancing five years ago,” he told Today in 2016. Anthony Varrecchia has been in great shape for a long, long time. He’s also found that maintaining his physique is more demanding than ever. 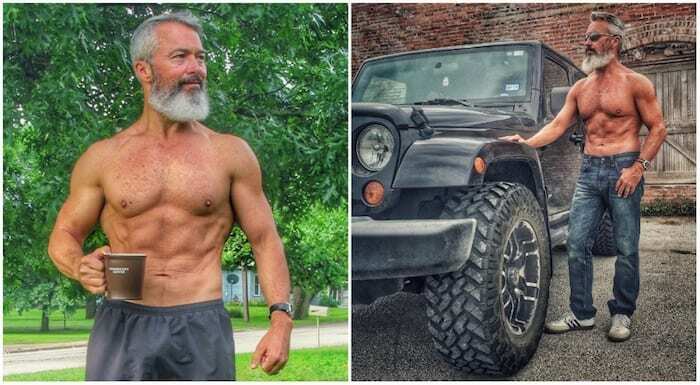 He’s noted that thanks to the way that his body chemistry changed in his fifties, he’s ditched junk food for good. 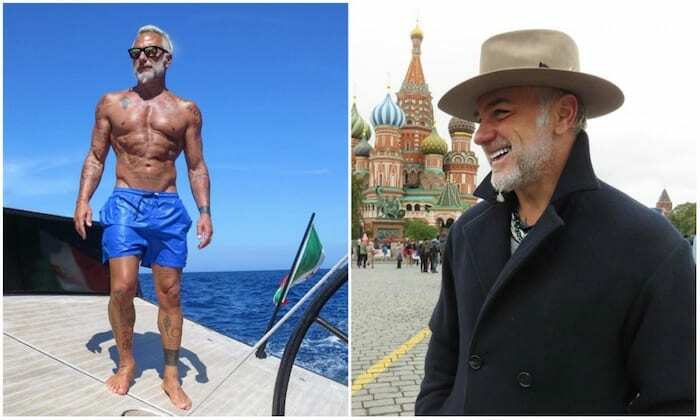 Not only does Gianluca Vacchi look great, but he’s also rich! 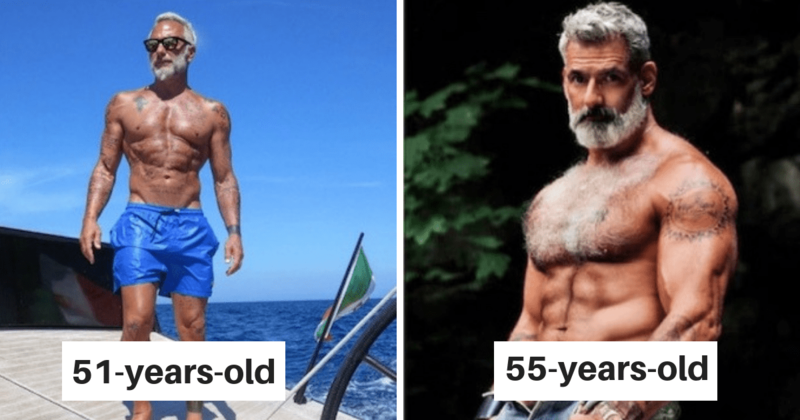 But the private jets, yachts and fast cars in this Italian former businessman’s life are all a distraction from his ability to keep a great physique. Luckily, he manages to get more than an hour of exercise into his schedule every day, without fail. 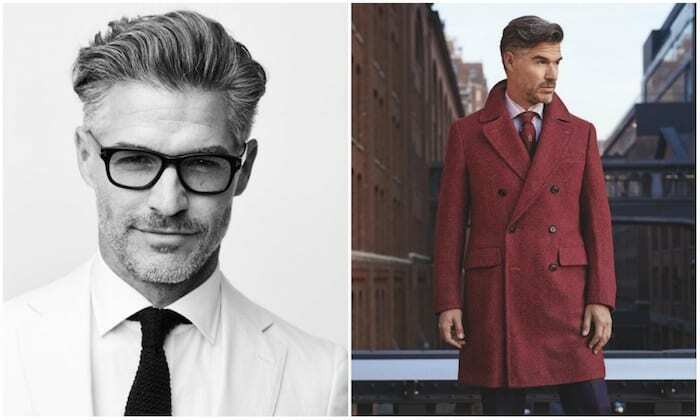 Eric Rutherford says that his hair is the quality that most people are fascinated with regarding his appearance. But the answer to maintaining a head of hair as amazing as his is to just not wash it very much. He considers the body’s natural oils to be the best thing for cleaning hair. Irvin Randle doesn’t give away the secrets of what keeps him looking incredibly well into his 50s. However, it’s possible to make an educated guess from his lifestyle. As well as being a model, he teaches third-grade reading. Amazingly, this is his day job, and modeling takes up his free time. So keep busy and teach kids is his answer! Shan Michael Hefley takes a lot of pride in his full looking chest. He says that the way he built this part of his body so well was through focusing on exercising the upper pectoral muscle. That’s the muscle around the collarbone. 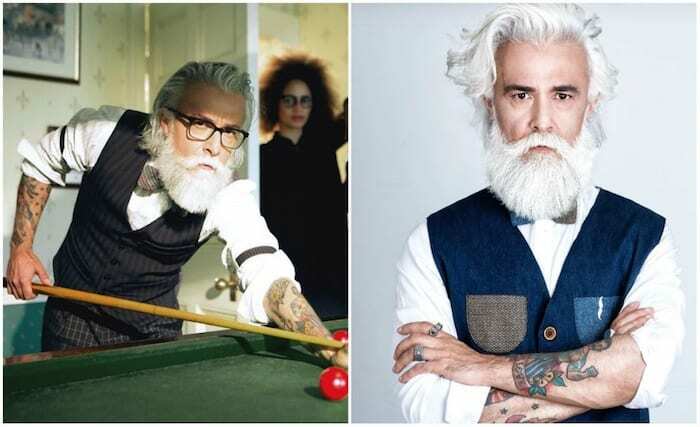 Alessandro Manfredini’s amazing beard is matched only by his style. To get a beard that’s so voluminous and impressive has taken a lot of work. He’s worn a beard since he was 30, meaning that he’s spent vast amounts of time styling and seeing what products work best with his mane. As for the style, Manfredini recommends combining very different items of clothing together, without focusing on what others are recommending. He doesn’t go to the same few brands but looks at as many options as possible.